Public Safety Officer Matthew Grupe risked his own life in an Aug. 7 fire to save a man who had been asleep. This morning, he was awarded a medal for using quick actions and putting aside his own safety to save the life of another. “He disregarded his own safety,” said GCU Public Safety Commander Kirk Fitch, who awarded Grupe the rare medal during a brief ceremony. Among the thousands of people who plan to participate a walk to benefit breast cancer patients, families and research later this month are GCU employees Woody and Allison Mason, who have been on a long cancer journey of their own. 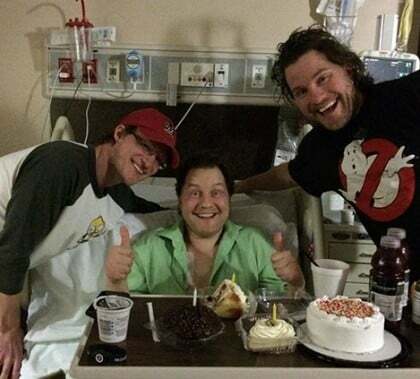 Woody’s identical twin, Dilon, is a three-time cancer survivor who got a new lease on life, thanks to his brother’s donation of stem cells, and Allison has been there every step of the way. GCU Today has a story about them that includes GCU’s heart for the walk and how you can sign up. 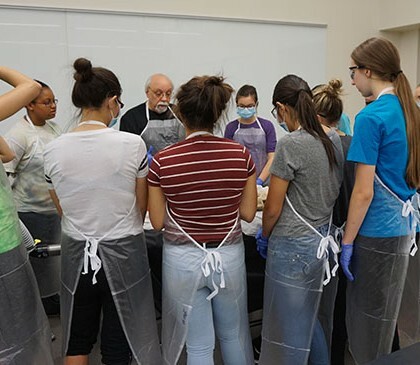 This year for the first time, high school students enrolled as GCU STEM Scholars are experimenting with human cadavers as part of their curriculum. On Friday, Peoria’s Medical Engineering and Technology Professional Academy students, many of whom are considering enrolling at GCU for its medical program, were at first squeamish but then enthralled by the unusual activity. GCU Today has the story. Parents who want to switch their children’s attention from video games, TVs and cell phones to science, math and engineering can take free classes at GCU. The two-hour Everyday STEM Workshops begin at 5:30 p.m. Oct. 8. They are intended to teach parents how to engage children from preschool to 8th grade in activities that are fun as well as educational. The sessions are divided by age group and child care is provided. GCU Today has the story. 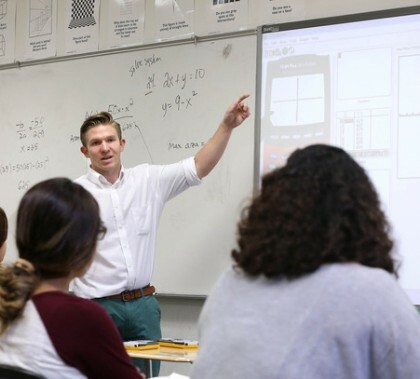 GCU’s student teacher partnership with neighboring Alhambra High School started small in 2012, when professor Jim Mostofo sent a handful of College of Education math students there to earn practicum and student teaching hours toward their degrees. The partnership has grown dramatically since with 70 GCU practicum students and five student teachers there this fall and 90 more practicum students expected for the spring semester. Alhambra had its largest summer school ever this year with the help of GCU, and two alumni now teach there as a result of the program. Read more about the partnership here. GCU continued its outreach into the Phoenix Hispanic community Friday, honoring employee Angela Mejia and awarding a $2,500 scholarship to incoming freshman Anahi Ramos of Youngker High at the 25th annual Valle del Sol Profile of Success 2015 Luncheon and Hispanic Leadership Awards Celebration. The award was especially humbling to Mejia, who grew up in poverty in Honduras and is using her position at GCU to help local youth attend college. 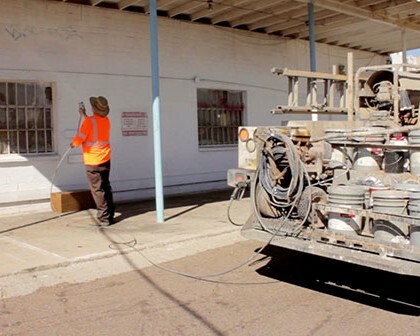 Read more in this GCU Today story. 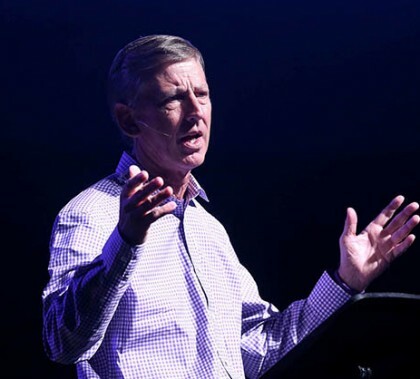 President/CEO Brian Mueller kicked off the 2015-16 Chapel sessions with an emotional talk about what he sees as one of the most critical things in the world today — finding ways to unite people behind common, positive goals. The University would not be where it is today without unity, Mueller said, and he wants GCU to continue to be a leader in bringing students, staff and the community together.